releases appearing on anthologies, don't miss this first, INTEGRAL release from the Cycle! was conceived in Luubscale, and has notes born of the cycles of Venus, Earth, and the 260-day Mayan almanac. the Mayan calendar where Earth, Venus and the sacred almanac align. This only happens every 104 yrs. perhaps better described as "timeless." approach a crisis of alignment! 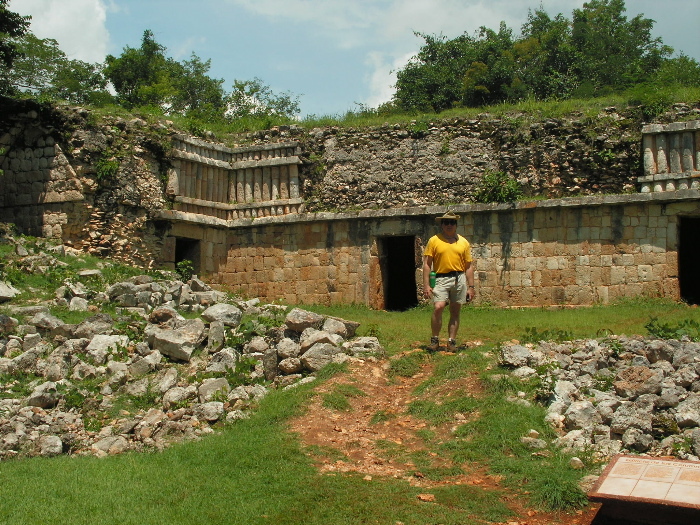 Tollan, mysterious mythical homeland for so many Mesoamerican peoples. For the Maya, it was "Puh." ONE: Listen to the Mayan zero point scale that unites Earth, Venus and the almanac! THREE: Listen to Mayan time approaching a crisis of alignment! An entire disc drawn from Jeremy Haladyna's Mayan Cycle on Innova! Available now on INNOVA disc 754.